Paco Díaz (Palma de Mallorca, Spain) on 7 October 2011 in Cityscape & Urban. Magnifique cathédrale avec son reflet dans l'eau. Je ne connais pas Majorque du tout mais les photos que je peux en voir me donnent envie de la découvrir un jour. Me encanta esa persectiva, Paco, con buenos reflejos. Bell Vist des d'aquesta perspectiva. Quan vaig anar a visitar havia molta més gent :)) Bon dia. Una perspectiva muy buena y unos reflejos estupendos!!!! I'm loving these iPhone shots. Beautiful. I'm always amazed at what that phone can do in expert hands. Terrific. This is just another proof of what one can do with an iPhone! 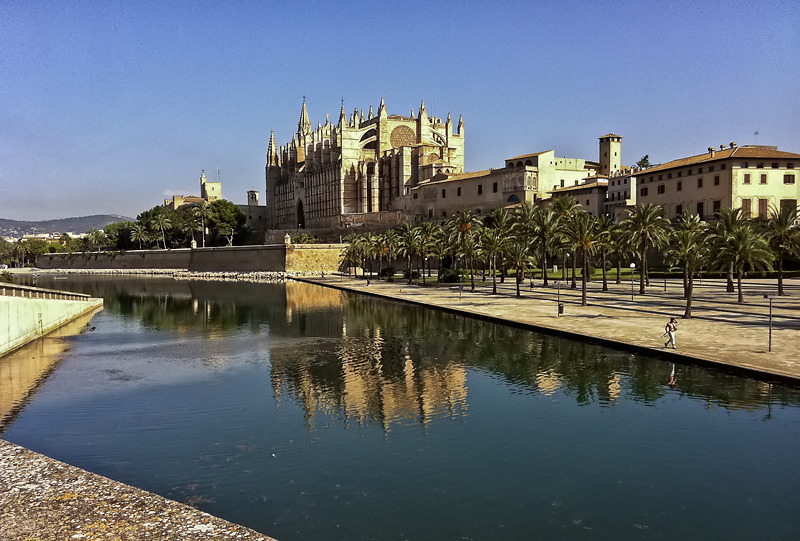 A very beautiful take of this cathedral with the reflection and the many lines going hither and thither. su nitidez y esa luz brillante me parecen hermosas de veras.